We are exporter of Indian spices, Dry-Fruits, Textile etc., that have set a benchmark with exemplary quality. 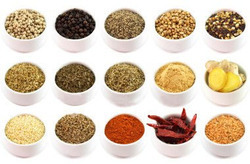 Our knowledge and experience of procurement along with advance technique in exporting ensures that our products are of highest quality standards and hence we are considered to be the leading exporter of Indian Spices from Mumbai, India. From ancient times, India has maintained its top position for being the largest spices exporters and manufacturers in the world. We are proud to be one of the leading spices exporting company in India. We have been satisfying the taste buds of food lovers around the world. The brand "Renshawenterprises" has made its mark in global market owing to high quality and our prompt services across the globe including countries like the US, UK, Germany, Spain, Italy, Canada, Australia, China, Turkey, France and other countries in Asia, and Europe. >>Ground & Whole Spices. The term "spices" refers to plants or parts thereof (possibly dried) that are used to enhance the flavor or taste of food. They may be either bark, buds, flowers, fruits, leaves, rhizomes, roots, seeds, stigmas and styles or the entire plant tops. They are well known as appetizers or preservatives and many of them have rich medicinal properties. Spices and herbs are good not only for our taste buds but also for our health, providing calcium, iron, vitamin B, vitamin C, carotene and other antioxidants. About 85 percent of the worlds soybeans are processed, or "crushed," annually into soybean meal and oil. 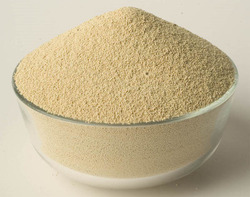 Approximately 98 percent of the soybean meal that is crushed is further processed into animal feed with the balance used to make soy flour and proteins. We supply Indian soya meal 46%,48 % & 50 % grade. 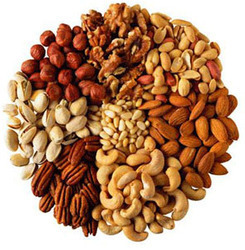 We are engaged in supplying a wide range of dry fruits, which includes Almonds,Apricot Kernels,Raisin,cashew nuts,Pistachio Nuts,Val Nuts Etc.